This medical id replacement tag is a great size for men, women, children, or teens. 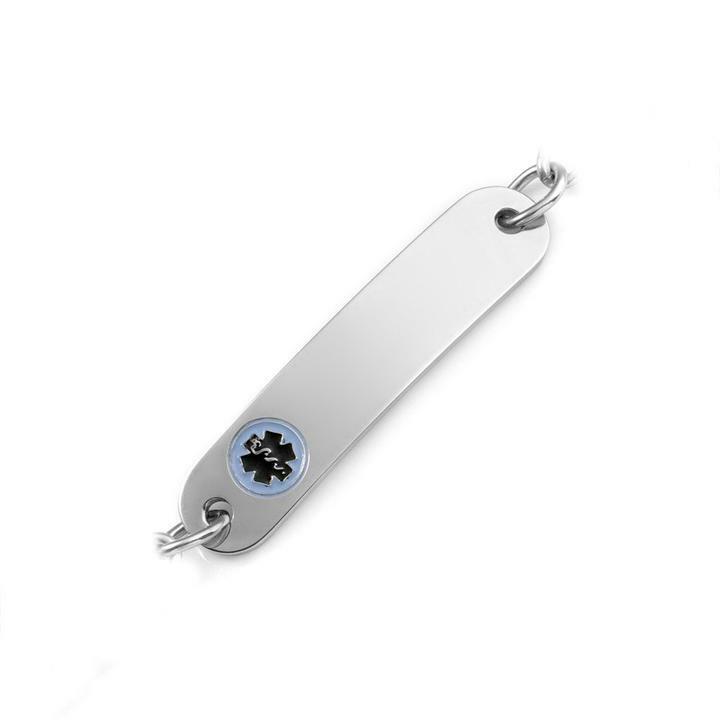 The medical id tag can be engraved on both sides with up to 4 lines each side. The medical id alert plate measuremens 3/8″ x 1-3/4″. Engraving is done in black laser.